But wait, I think you’re coming at this from the wrong angle; this Mint & Ginger Iced Green Tea is, in fact, three days early for next weekend and just in time for the summer heat. Because we all know that a tall glass of iced tea, dripping with condensation, is an icon of relief from the summer heat. It quenches the thirst and satisfies the desire for flavor like no other drink. All you need to do is pull up a reclining chair, sit back, relax, and sip away. 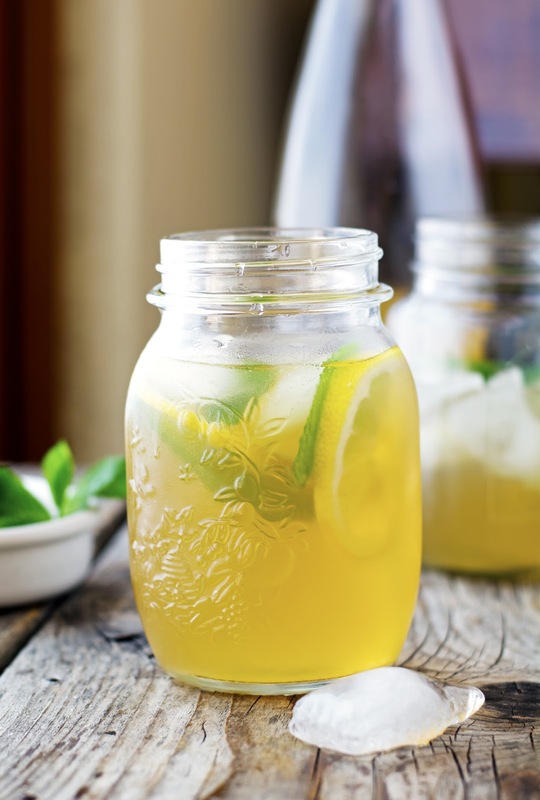 This Mint and Ginger Iced Green Tea is a fresh, tasty, and healthy twist on the classic iced tea. Ginger, mint, and lemon add a cool, invigorating flavor to antioxidant-rich green tea — it’s nothing short of summer in a glass. 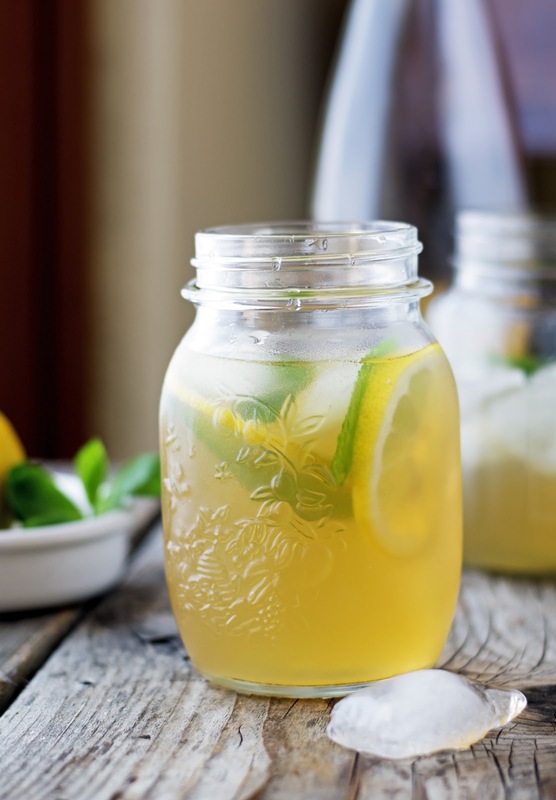 Fresh slices of lemon, a subtle ginger tone, mint leaves in a tall glass with ice cubes. And if that has not convinced you — but seriously, how did that not convince you — hopefully the pictures will. One final word about baking soda. I always add a pinch of baking soda when making iced tea at home, I know it sounds crazy but a pinch of baking soda really improves the taste. It neutralizes the tannins in the tea, makes it less bitter, and gives it a smooth flavor. In the dog days of summer, sipping a cold glass of iced tea is an awesome experience. Am I right? Mint and Ginger Iced Green Tea Print this recipe! Combine water and ginger in a pot. Bring to a boil. 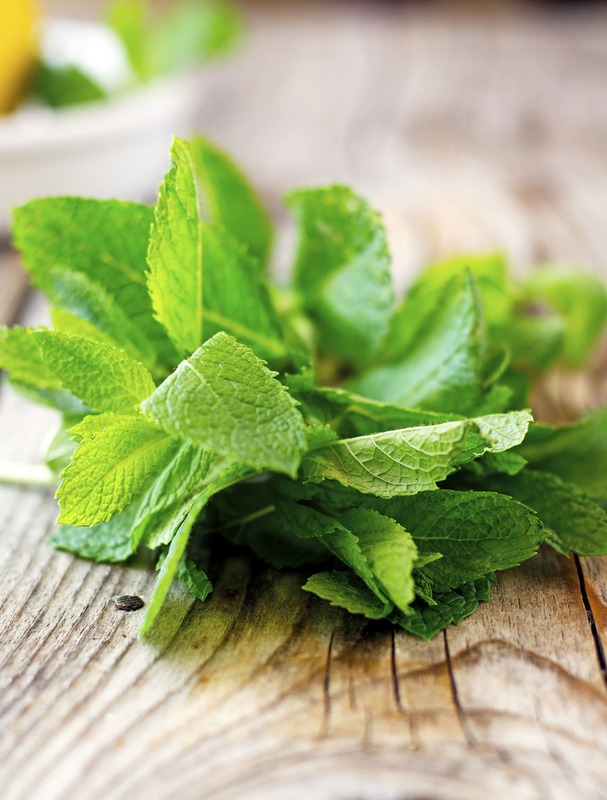 Once the water boils, remove from the heat and add tea bags and mint leaves. Cover with a lid and steep for 15 minutes. Remove the bags and strain tea separating the liquid from the mint leaves and ginger slices. Stir in sugar, juice of half lemon, and baking soda. Transfer to a pitcher and let cool before refrigerating. 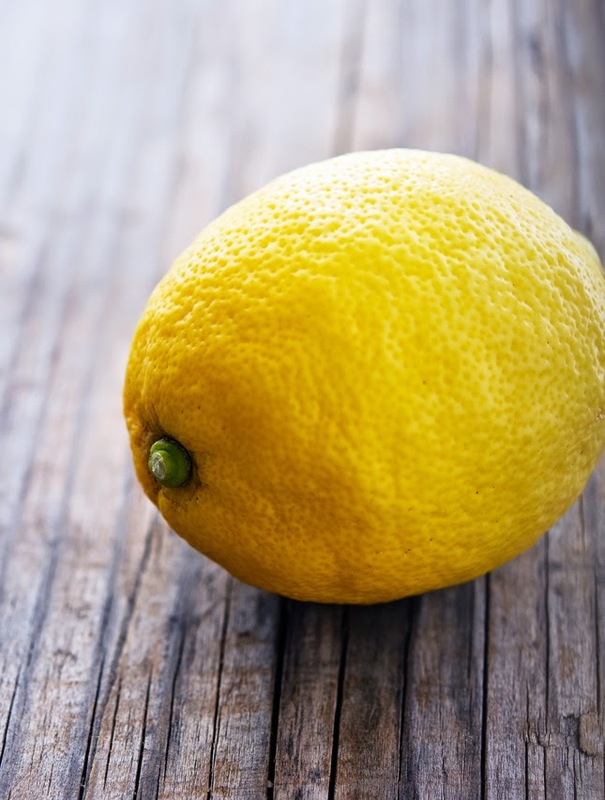 When ready to serve, slice remaining half lemon into slices, add a couple of slices in each glass, along with a couple of mint leaves and ice cubes. Pour iced tea over and serve! One serving yields 35 calories, 0 grams of fat, 9 grams of carbs, and 0 grams of protein. wonderful! And now you'll always think of her while drinking tea! Yes sir, you are exactly right! I love iced tea. Used to not like drinks with ginger but I've since chanced my mind. I'd love a glass of this right now!